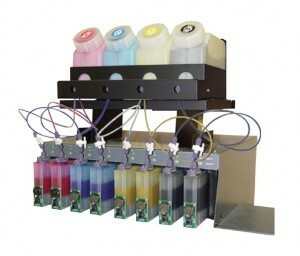 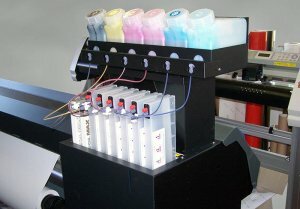 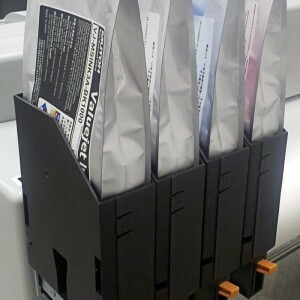 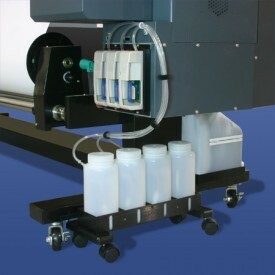 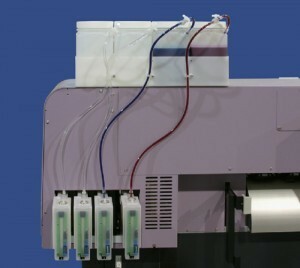 Bulk system for Mimaki JV33 with ink bottles and permanent chips. 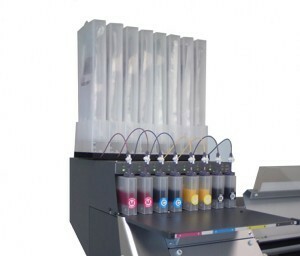 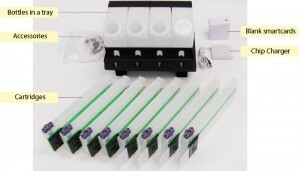 Refillable cartridge (350ml) to use with any model of Mutoh and Mutoh clones by Xerox, Oce, Fuji, Agfa. 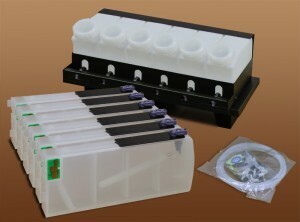 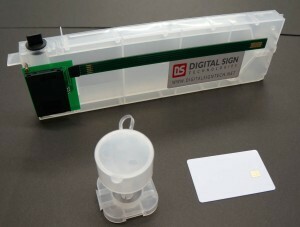 It has a smart card connector at the back, and it comes with a mini funnel for easy filling directly from a bottle.